Naively wishing for a hot summer day this time of year is only natural. Since these last weeks of winter typically drag on, it’s hard to remember how ardently you complained about your non-stop sweat last July. Truth is, summer has its challenges, too (we’re talking chafing), and unfortunately your favorite jeans don’t afford the same breezy-ness as, say, a pair of swim trunks. But that doesn’t mean you need to swear off denim altogether. Instead of constantly dealing with discomfort or wishing for another season, we’d like to help you enjoy the one you’re in through practical—and stylish!—wardrobe planning. And because it’s a year-round menswear essential, we’re starting with denim. Spring is notoriously short, and before you know it you’ll be shedding outerwear and re-upping your deodorant mid-afternoon. But warmer weather also means more chances to show off your super casual but actually long practiced “jeans and a T-shirt” look. 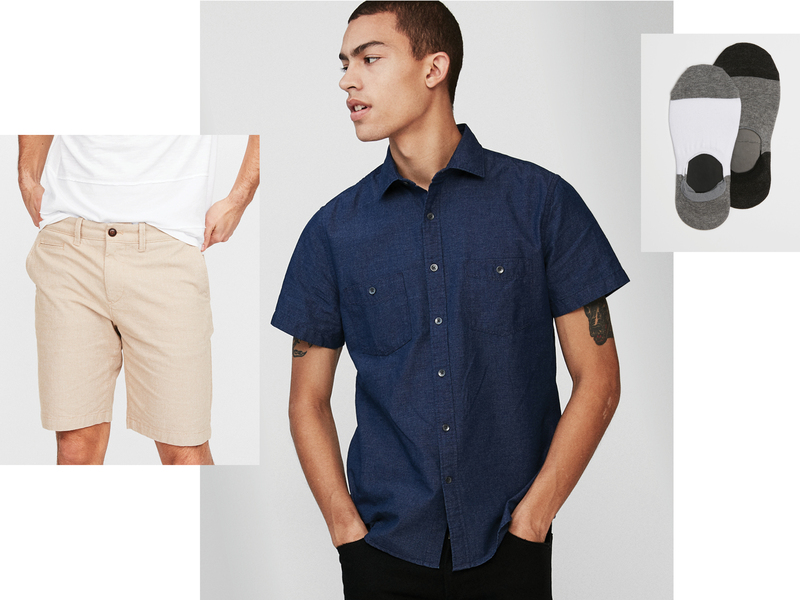 Whether you like your denim bleached-out and worn-in or dark and crispy, we’ve compiled a few ways to stay cool in the trusty fabric when temperatures start rising. The bad news: you gotta go to work. The good news: you can still look and feel good doing it. 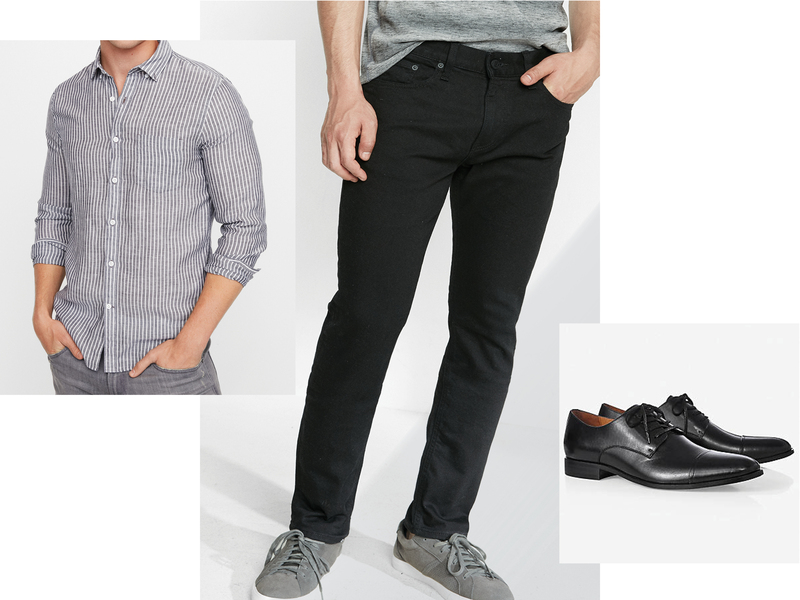 Our slim stretch black jeans fit right in at any office especially when paired with some sleek black cap-toe dress shoes. Top ‘em off with a soft wash striped dress shirt for ultimate warm weather comfort—it’s made with linen to keep you cool and breezy. In fact, we’d suggest packing an extra layer in case your office cranks the A/C a little too aggressively. 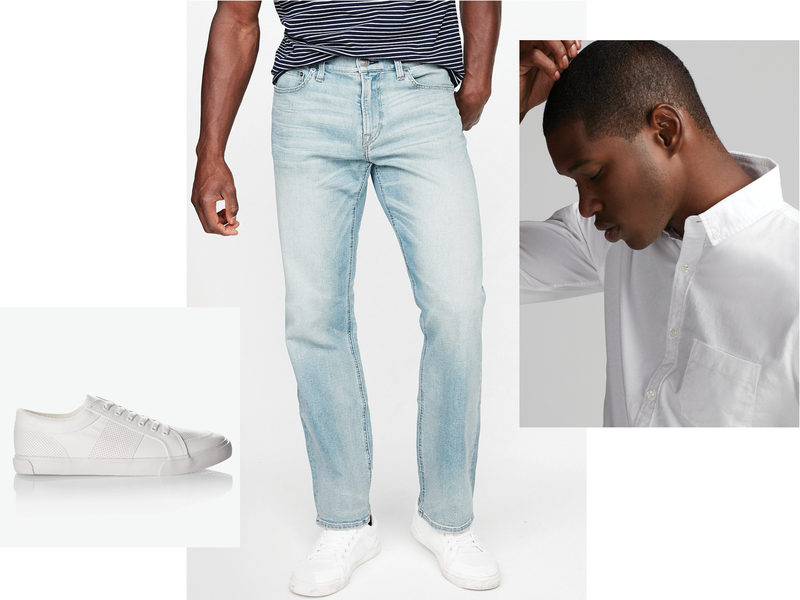 Light-wash and bleached-out denim used to be reserved for out of touch dads, but the trend is making a comeback. Besides being fashionable, wearing light colors helps regulate your body temperature when the sun is beating down, reflecting rather than absorbing the rays. Wanna look fresh for your next date? Go for a monochrome look by adding a crisp white shirt and a pair of matching white sneakers to your light denim. Nothing makes you look as instantly trustworthy and clean as a brand new white Oxford shirt and our perforated white sneakers will guarantee airflow to your feet keeping blisters and odors at bay. What do you wear when you’ve got a meeting at 4:00 and beers on the beach at 6:00? Our gray washed denim shirt is work appropriate thanks to its slim fit and contrast stitching, but party-ready thanks to the distressed details of a well-worn pair of jeans. 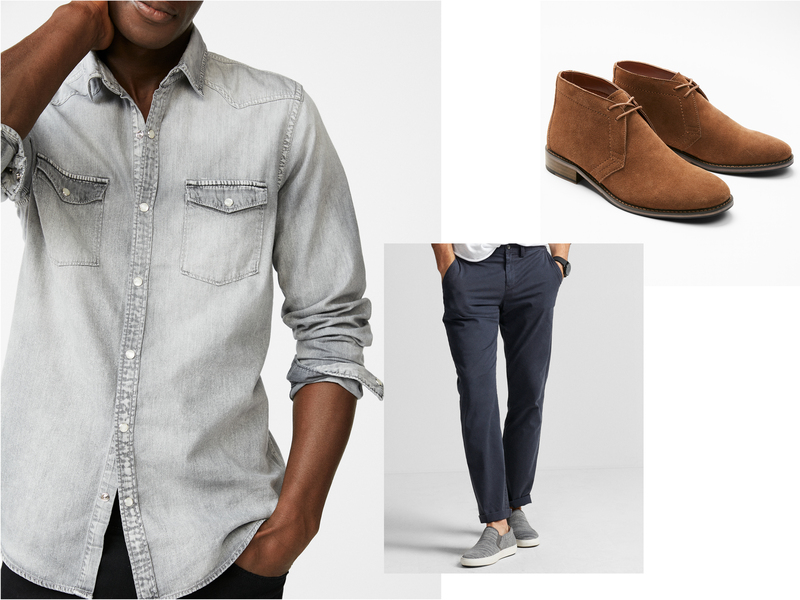 Wear it over our garment-dyed navy chinos and a pair of suede desert boots from 9 to 5. Then, once you hit the beach, feel free to lose the shoes, and roll up your sleeves and cuffs. Comfort and style don’t have to be at odds, even if it is humid AF out. Start your outfits on really hot days with a pair of our moisture wicking performance briefs. The fabric helps pull sweat away from your crotch and thighs keeping your bottom half safe from dreaded swampiness. And the extended legs prevent chafing from slowing you down. Next pull on a pair of slim but not skinny stretch jeans.The added roominess with help your legs stay cool. Swap your regular tee for a more handsome short-sleeve henley and prepare yourself for lots of attention come happy hour. When you’re on vacation, you want to be prepared for a multitude of situations, whether it’s reading in a hammock barefoot or grabbing a romantic dinner at a local bistro. A saturated short-sleeve denim shirt can dress up any outfit. Our dobby slim shirt looks like a crisp pair of dark jeans but breathes like your favorite chambray. Wear it open over a crew neck white T-shirt or on its own with a tailored pair of chino shorts and some cushy sneakers. Since you’ll be walking a lot, avoid the urge to go truly sockless. Our no-show socks will protect your feet from blisters and your shoes from sweat.